School books, quirky ghosts, funny superheroes- there's a lot to choose from. It’s been quite a year for children and young adult books in India. Here’s a look at some of my favourites this year. Greg Heffley of The Diary of Wimpy Kid fame had serious competition this year. When it comes to schools, the children’s publishing industry was busy with sequels. 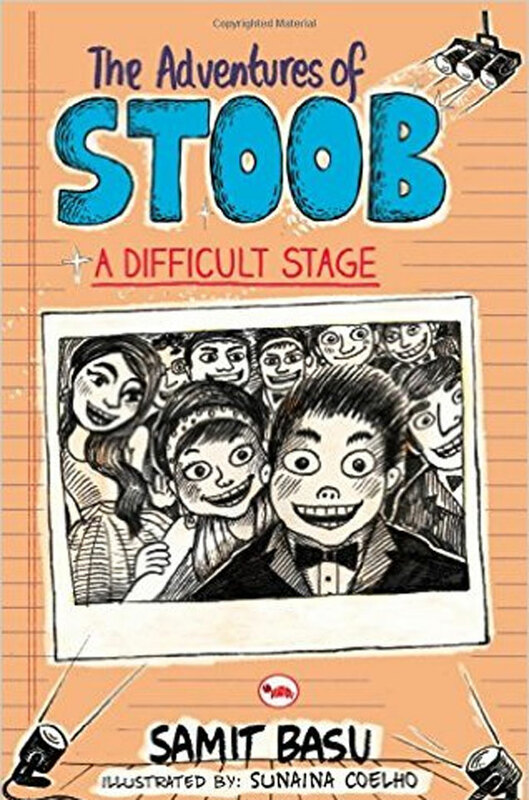 Samit Basu’s The Adventures of Stoob: A Difficult Stage is a whirlwind read. Stoob’s childhood is firmly behind him, after all he is now in Class 6 and wears full pants. When his classmates are not discussing relationships and icky stuff, they are auditioning for the school play. Stoob is rip-roaringly funny, and Basu steps into the canvas shoes of a school student with ease. He also takes on certain television series meant for children and manages to make a point about today’s intelligent young audience. The book is rip-roaringly funny, and Basu steps into the canvas shoes of a school student with ease. Jane De Suza’s little superhero has his hands full in Super Zero and the Grumpy Ghosts. In the second installment of the series, Super Zero has to rid a mall of a motley crew of ghosts. 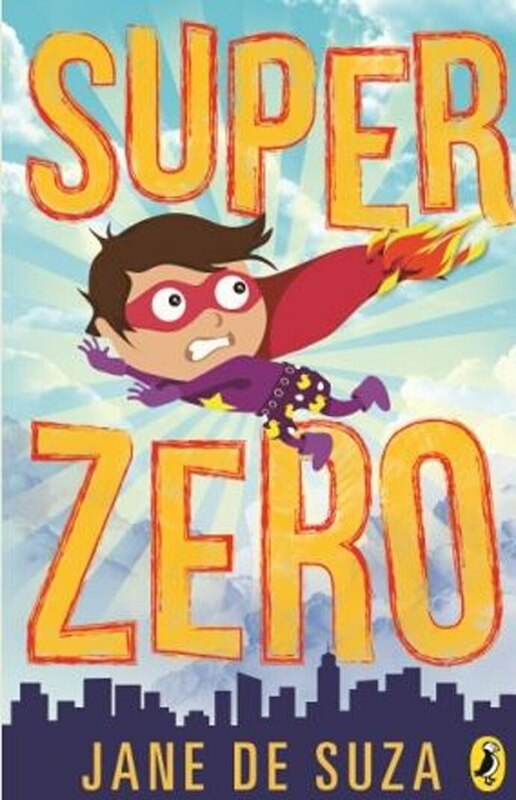 De Suza keeps the reader laughing from the beginning to the end – Super Zero is full of mad-cap jokes and punch lines, with a fun story to match. Super Zero is full of mad-cap jokes and punch lines, with a fun story to match. 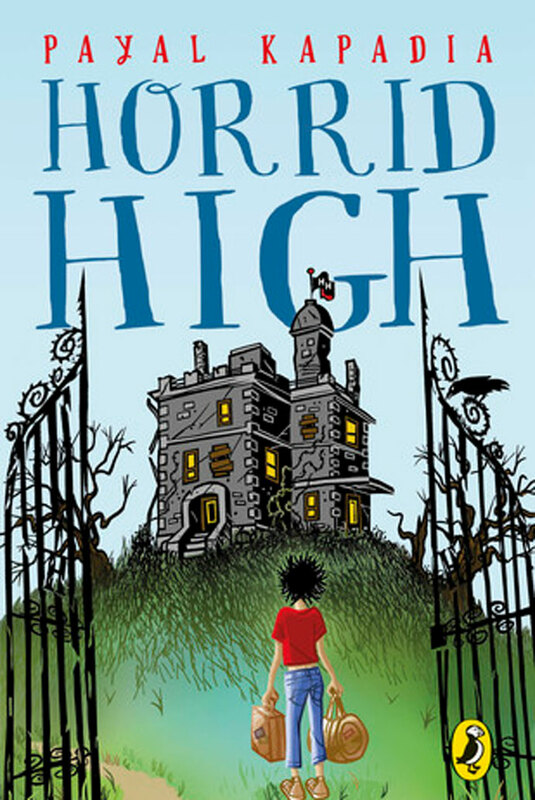 Horrid High: Back to School by Payal Kapadia returns with another adventure. Horrid High is no longer the horrid school that it once was – Granny Grit is now principal and has a new fleet of teachers. But when Granny Grit has to rush to the Amazon, 12-year-old Ferg and his friends are left to figure out the mysterious Grand Plan, dodge Cook Fracas’s food fights and attend classes with some weird teachers. A spirited read. Horrid High: Back to School by Payal Kapadia returns with another adventure. Both Nayanika Mahatani’s Ambushed and Mitali Perkins’ Tiger Boyinvite young readers to the forest with their stories. In Ambushed,Gadget-addict Tara stumbles upon an international ring of poachers at a tiger reserve. Now it’s up to the ten-year-old girl and Satya, a tribal boy to save a tigress and her cubs. A wonderful read, Ambushed is a treasure trove of information about the striped cat and the need to save them. 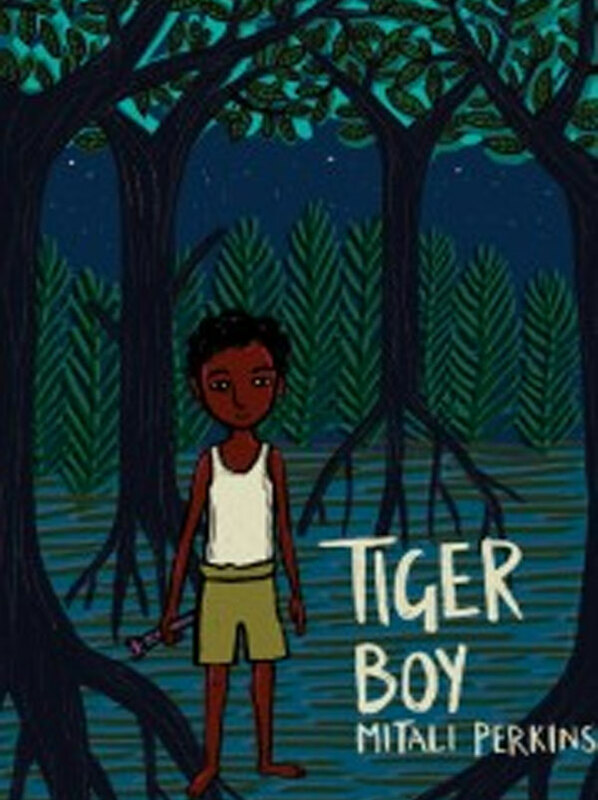 Tiger Boy is the story of Sundarbans, its people and its wildlife. Neel and his sister get together to help a tiger cub who’s gone missing in the mangrove forest. Even though he has a scholarship to study for, Neel forgets everything in order to save the tiger. It is a story about the complex relationship between humans and animals. Tiger Boy is a wonderful story about the complex relationship that humans and animals share – fragmented, ethnocentric, wondrous, and symbiotic. Illustrator Ruchi Shah renders Mahasweta Devi’s Our Incredible Cowinto a gorgeous picture book. Nyadosh, the cow goes about chewing everything in sight, while Shah reinterprets the story imaginatively, giving the cow different avatars of what she eats. Fabric, books, banana leaves, and even onion rings become part of innovative collages to form Nyadosh. 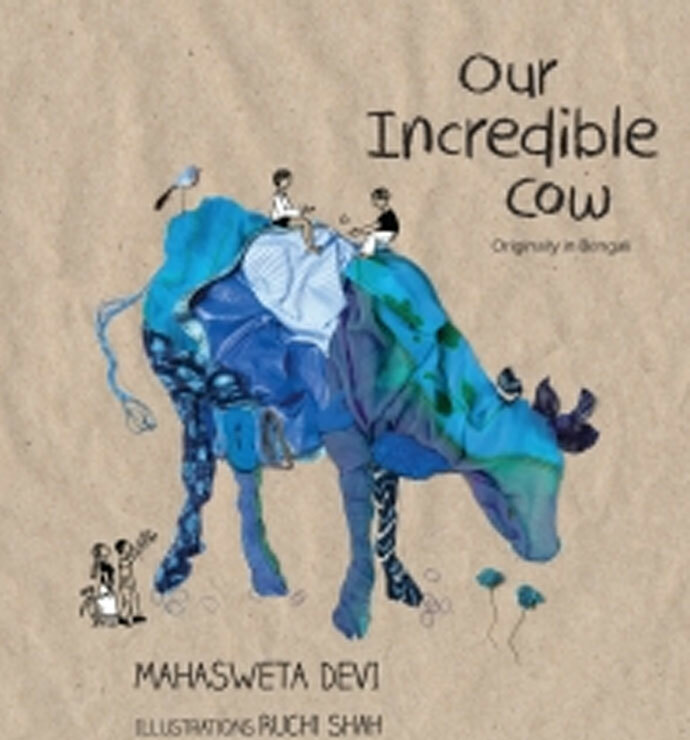 Ruchi Shah renders Mahasweta Devi’s Our Incredible Cow into a gorgeous picture book. Roopa Pai and Archana Sreenivasan’s My Space, My Body takes on the subject of personal space and body awareness. Parents often find it hard to talk to their children about these topics, but now help is at hand in the form of siblings Taka and Dimi. Sreenivasan’s illustrations are lively as is Pai’s storytelling. My Space, My Body feaures worksheets and fun activities like this. 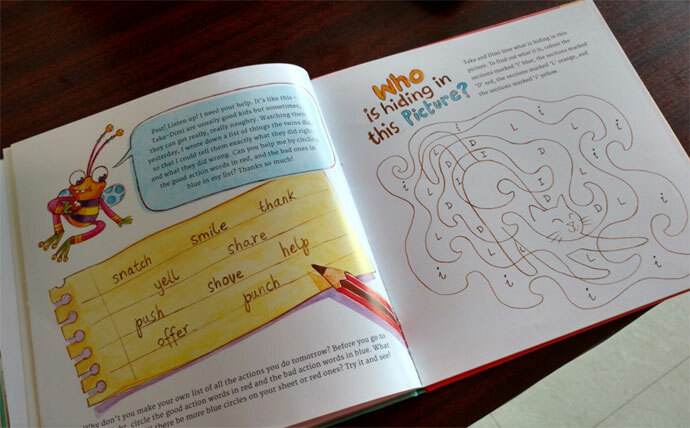 8 Ways to Draw an Elephant is an art activity book that not only introduces children to natural history, but also to different Indian art forms. Children will love learning about Asian and African elephants and then tracing, patterning, and colouring the pachyderms in different folk and tribal styles. Subhadra Sen Gupta’s A Children History of India is an omnibus of sorts. Children can step back into time to ancient and medieval India. Sen Gupta then takes young readers to the British period and then writes about growing up in a free India. Sen Gupta not only talks about the empires that ruled India but also how the common people lived – the houses they lived in, their clothes, and what kids studied at school. It’s a wonderful way to learn about India and its people. With the history-mystery series, no one’s ever going to accuse the subject of being dull. Razia and the Pesky Presents by Natasha Sharma is a delightful book about Razia Sultan. 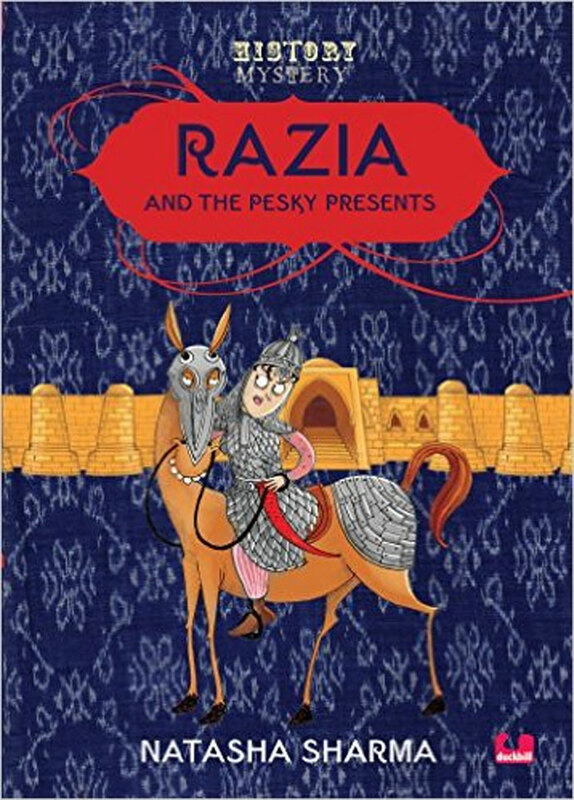 Razia and the Pesky Presents is a delightful book about Razia Sultan. The Delhi ruler finds herself being sent some really pesky gifts with rude notes. It’s nice to get presents but not if they are challenging your right to rule as a woman. While the series is based on real historical characters, the stories have their own quirks and narratives. 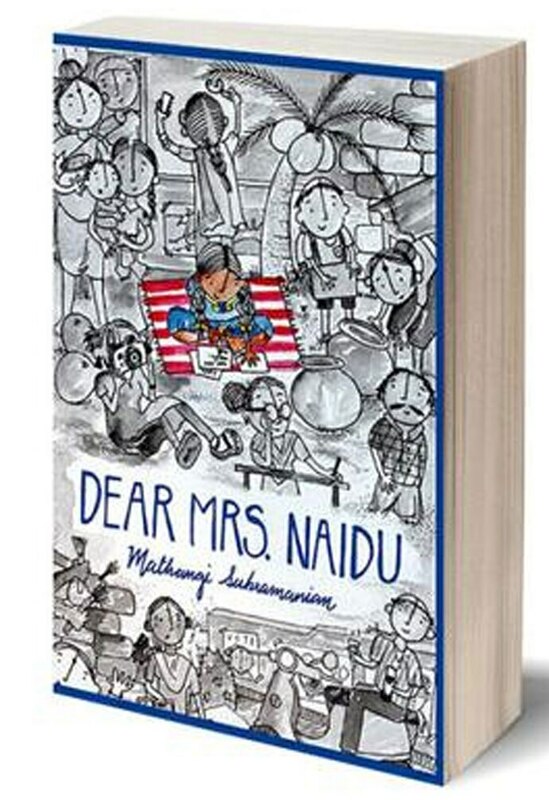 Written in the form of letters from 12-year-old Sarojini to freedom fighter Sarojini Naidu, Mathangi Subramanian’s Dear Mrs. Naidu is a powerful story about empowerment. Sarojini decides that her government school’s going to have to pull up its socks and do better under the Right to Education Act. Help is on hand in the form of unlikely friends and a human rights lawyer who is also an evil genius. There are hurdles to face – from a headmaster who can’t be bothered to care, mothers who are busy with thousands of chores, and one of the best characters ever – a nightie-clad councilor tapping away on her phone and ignoring her constituency. Subramanian’s story feels very much real, but in that gritty reality she also finds hope and humour. It is in the form of letters from 12-year-old Sarojini to freedom fighter Sarojini Naidu. Half the Field is Mine is a spunky tale about two friends whose dearest wish in the world is to play football. But the boys’ team does not want girls to play with them any longer, and the two girls set out on different journeys to question gender differences. Swati Sengupta comes up with interesting questions about sports and gender. 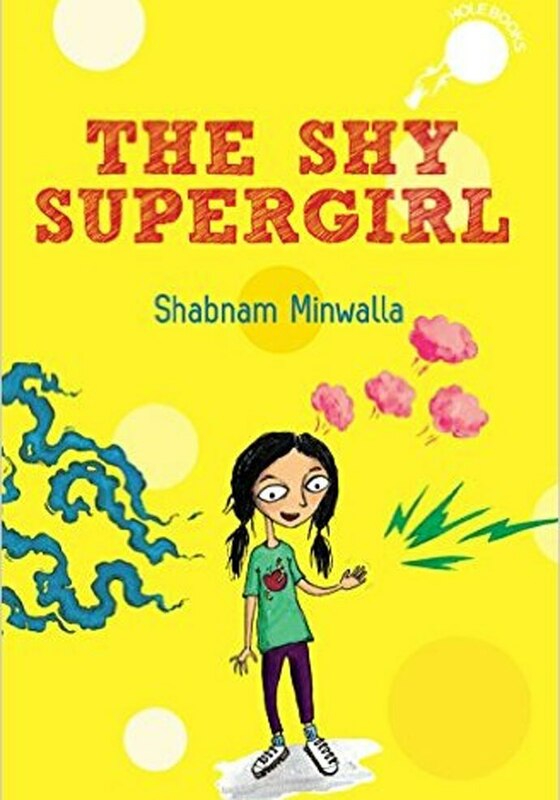 Shabnam Minwalla’s The Shy Supergirl. Nina, we find out, has a superpower to see if people are nice or nasty, or “a messy mix of the two”. She wields it to solve a mystery in her building. Part of the hOle book series, The Shy Supergirl is about people, and what propels them to be nice or nasty, greedy or kind, sly or compassionate.